What can consumers do when a top toy or gift sells out in the run up to Christmas? 1. 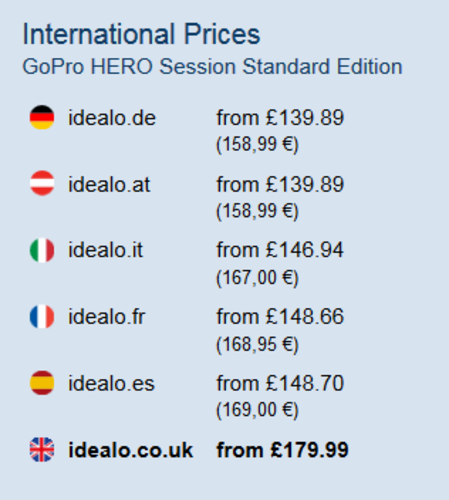 Navigate to the item’s page on idealo.co.uk. 2. 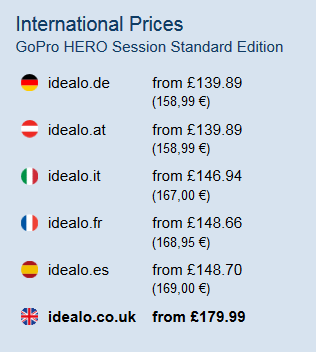 Scroll down to find the International Prices in the bottom left-hand corner. 3. The prices will be listed by country in order of cheapest to most expensive. 4. Click on the country you want to check to be taken to the local prices for that market. 5. Use Google translate to check if the shop offers UK delivery. This press release was distributed by ResponseSource Press Release Wire on behalf of Idealo Internet GmbH in the following categories: Consumer Technology, Personal Finance, Retail & Fashion, for more information visit https://pressreleasewire.responsesource.com/about. Check gift prices abroad before buying.